Russian military aircraft disappears during airstrike over Latakia. US official: Syrian army inadvertently shot it down. A Russian military aircraft disappeared on Monday night during an airstrike over the Syrian city of Latakia. A US official with knowledge of the incident told CNN that the maritime patrol aircraft was inadvertently shot down by Syrian regime anti-aircraft artillery as it retaliated for the Latakia attack which was attributed to Israel. The Russian state news agency TASS reported that a Russian IL-20 military aircraft with 14 personnel on board disappeared over the Mediterranean. The report cited the Russian ministry of defense as claiming that "the mark of IL-20 went off the radars disappeared during the attack of four Israeli F-16 aircraft on Syrian targets in the province of Latakia." The US official told CNN that the Russian plane was hit while the Syrian regime was trying to stop a barrage of Israeli missiles. The Israelis had fired multiple missiles against targets in the coastal area of Latakia where Russian has based much of its military presence, including aircraft. 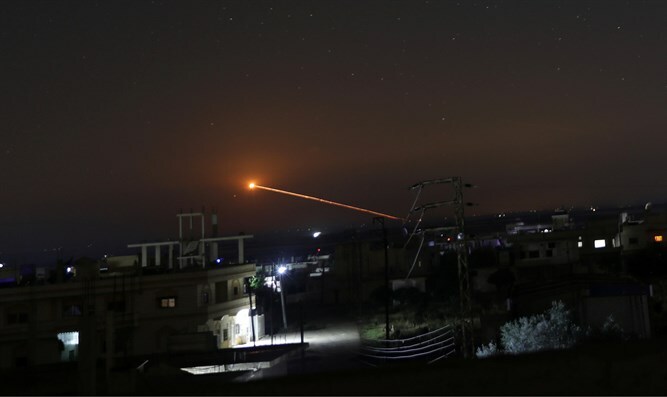 In an attempt to strike back against the Israelis, the Syrians launched extensive anti-aircraft fire, the official said, and the Russian aircraft was hit. Israel has refused to comment on the attack. The US found out about the incident because Syrian forces broadcast an emergency search and rescue radio call on an international frequency, according to CNN. The US then got a direct message from another country about the type of aircraft and circumstances of the incident. The official would not identify that country, but it is likely that Russia is the only nation that would know exactly what type of aircraft was shot down. Earlier this week, a Syrian military source claimed that Syria thwarted an Israeli attack on the international airport in Damascus. According to reports, anti-aircraft missiles were fired at the Israeli aircraft, preventing the strike. An IDF spokesman said the IDF "does not comment on foreign reports." At the beginning of September, a number of loud explosions were heard at the Mezzeh airbase near Damascus, which has been attacked in the past. However, the official Syrian news agency SANA reported that the explosions were caused by an electrical problem that was caused by a technical malfunction rather than an Israeli attack.